Bellice is available as an armchair, long chair,sofa with two cushions of 70, 80, 90, 100, or 110 cm or sofa with three cushions of 80 or 90 cm. 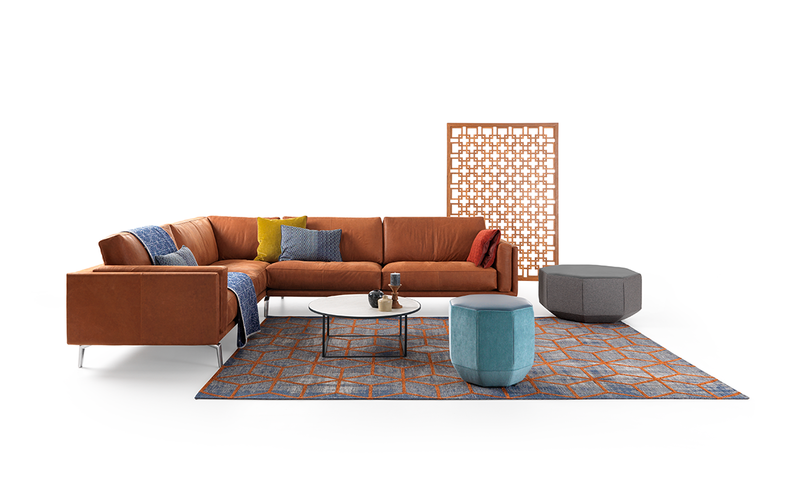 A large number of additional elements, 3 footstools, 2 chaises longues and head supports in 3 widths and an arm cushion make the product complete. You can opt for high, low, wide or narrow arms (medium or firm). In addition, there is an adjustable narrow arm that offers extra comfort when you want to relax. Under your Bellice, you can opt for legs in aluminium (Fino or Sobrio), stainless steel (Tubo), black nickel (Onyx) or oak (Palo), or for the Anillo aluminium base. Depending on the options you choose, the metal parts can be lacquered or epoxied, while the wooden legs can be stained or oiled. Seat and back cushions are available in the variants soft (a down cushion deck, with loose upholstery), medium (high-quality flock filling, with loose upholstery) or firm (solid filling, with “tight” upholstery). Seating height: Standard or + 2 cm. Seating depth: Standard or - 2 cm. Bellice provides endless formats. 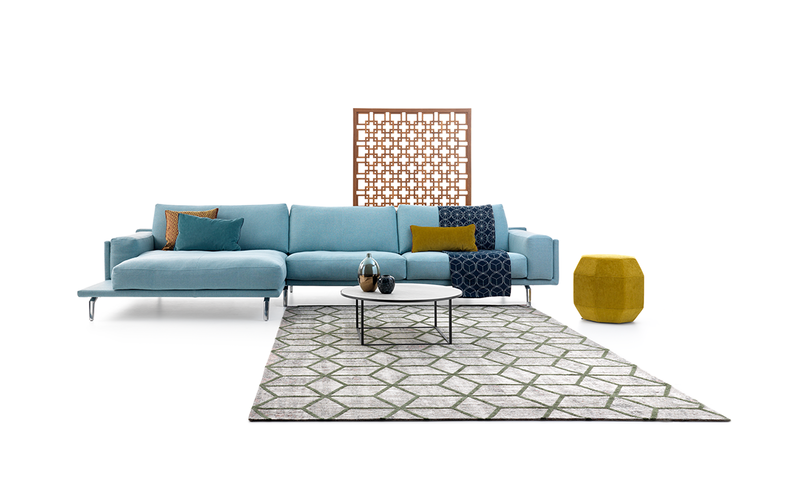 From a compact two-seater to a luxurious modular sofa. 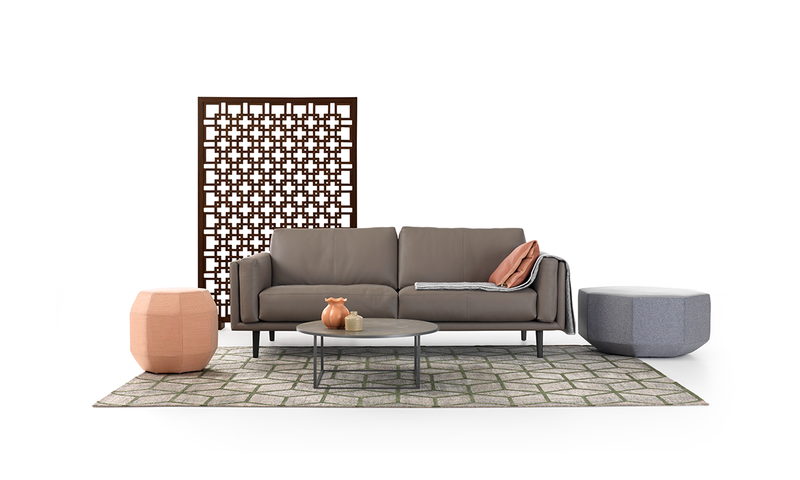 The modular structure includes over fifty different elements which you can combine to suit your interior wishes. There are middle and connection elements, as well as corner and end units, with or without footstool. Obviously, there’s a chaise longue too; there’s even an extra wide variant which can amply accommodate two people.